Creating an essay is a part of every student’s academic journey. 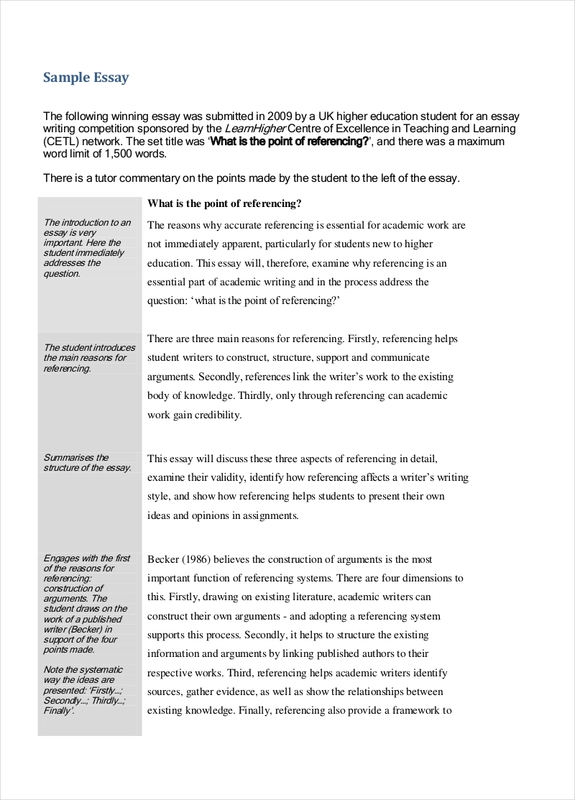 There are different kinds of essays that can be a part of a student writing task. One of these essays is the evaluation essay. What can set apart an evaluation essay from various kinds of academic essays is that it can also be used in different undertakings within the corporate and professional environment. Evaluation essays are not limited to be used for educational purposes as it can also be beneficial in the fields of business, research and community development. An evaluation essay contains an objective assessment that is written by an individual who should be fully-knowledgeable of what he or she is writing about. More so, this essay relays the sound judgement about a specific subject matter or topic of discussion. Each evaluation essay are based on evaluative writing that are commonly created in accordance to a set of criteria or value measurements. We have curated ten evaluation essays that you can refer to if you want to write your own evaluation essay. An evaluation essay should always be direct to the point and specific as it contains factual information that is essential to be known by the readers. To avoid common essay mistakes, some of the things that you should always remind yourself when writing an evaluation essay are listed below. When writing an evaluation essay, a writer must always be backed up by evidences so that he or she can support the evaluation being made. If you are writing an evaluation essay, you should always be objective with the content that you are presenting. Your opinion matters but you should make sure that it is based on reality. Evaluation essays work best if the readers can identify the sources that you have used to come up with the assessment that they are currently reading. If you will ensure that there is enough evidences to support you, then your evaluation essay can be more credible and relevant. Be specific with the kind of evaluation essay that you are creating. An evaluation essay can only be effective if you are aware of the purpose on why you are writing the document. 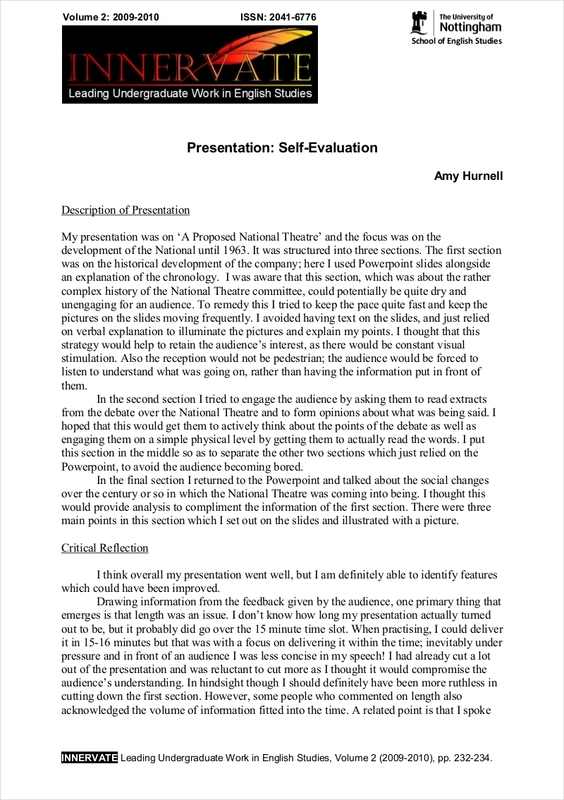 Being able to present details, comments, and information that is directly related to the kind of evaluation essay that you are writing can help you create a highly-usable output. There are different kinds of evaluation essays and you should be aware that each of them have differences depending on the purpose of their creation. 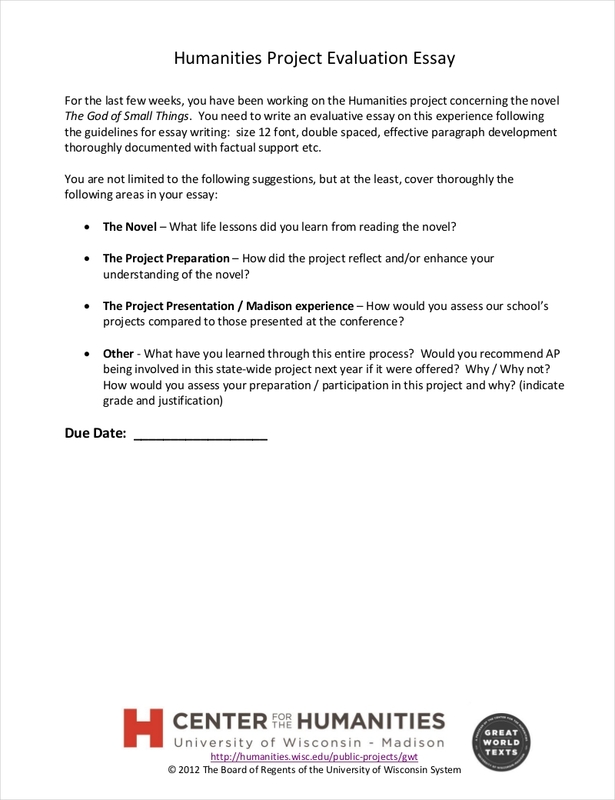 Come up with a highly-usable and effective evaluation essay by directly providing the needs of your readers. Always be clear when presenting your evaluation. Since the main purpose of an evaluation essay is to relay your viewpoint about a specific subject, you have to make sure that you will be precise and concise when delivering the message that you want your readers to be knowledgeable of. You have to explain how you were able to create the evaluation which includes the specification of the factors that you have considered within the entirety of the evaluation and writing process. With the different ways on how you can use an evaluation essay, it is safe to say that there are a lot of fields of expertise that can benefit from this document. When creating your own evaluation essay, you should always keep in mind that the content of your essay must be relevant to the message that you would like to disseminate or share to your target readers. If you want to create an evaluation essay, you should be strategic when it comes to the presentation of information that can be helpful in the writing activity. Your evaluation essay can only be fully-maximized if there is an organized discussion of your evaluation as well as the facts that can support your thesis statement. Be aware of your topic. The first thing that you need to do when writing an evaluation essay is to be knowledgeable about the topic that you will write about. As much as possible, research about the subject of discussion so you can easily identify the characteristics that you can evaluate and the criteria that you will use for evaluation. Make sure to have a set of criteria that can help you determine your evaluation. Once you are already aware of your topic, you can already set criteria that will serve as the basis for your evaluation. If you will properly identify the criteria that will best fit your needs for the specific evaluation, then you can make your evaluation essay stronger and more effective. 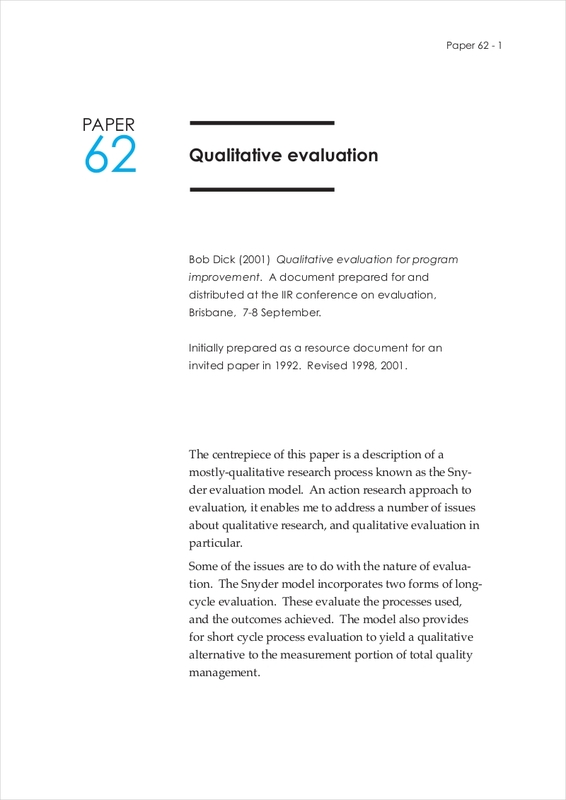 Refer to samples and templates of evaluation essays. 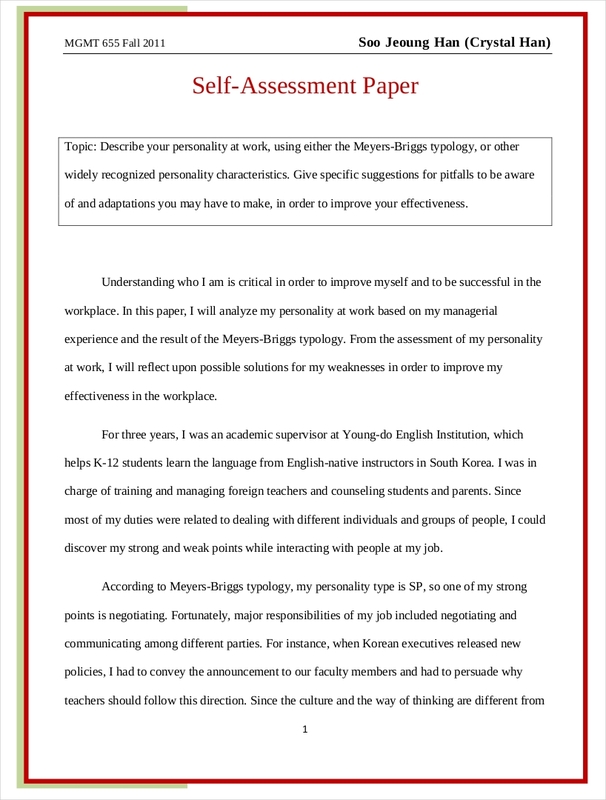 It will be helpful if you will look at different kinds of evaluation essay samples and templates. 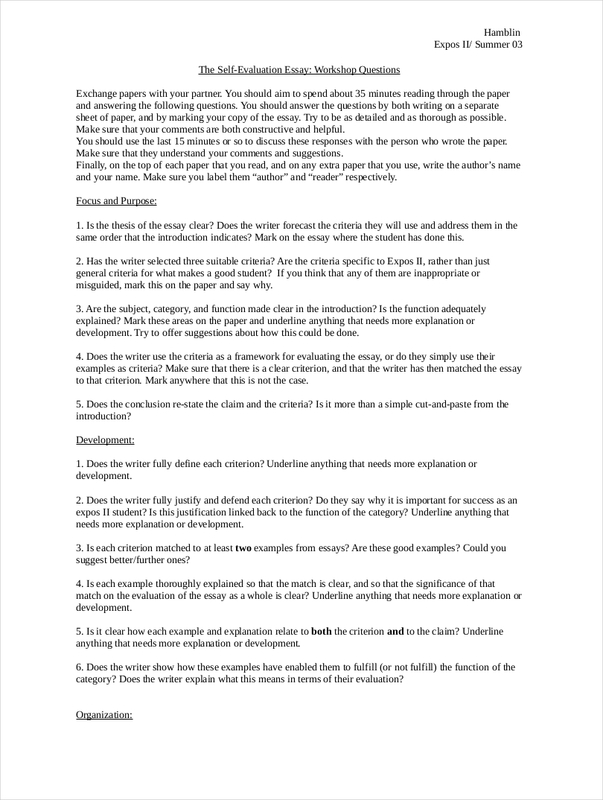 These documents can help you be more familiar with what an evaluation essay is and how the details present in this kind of essay should be arranged and presented. 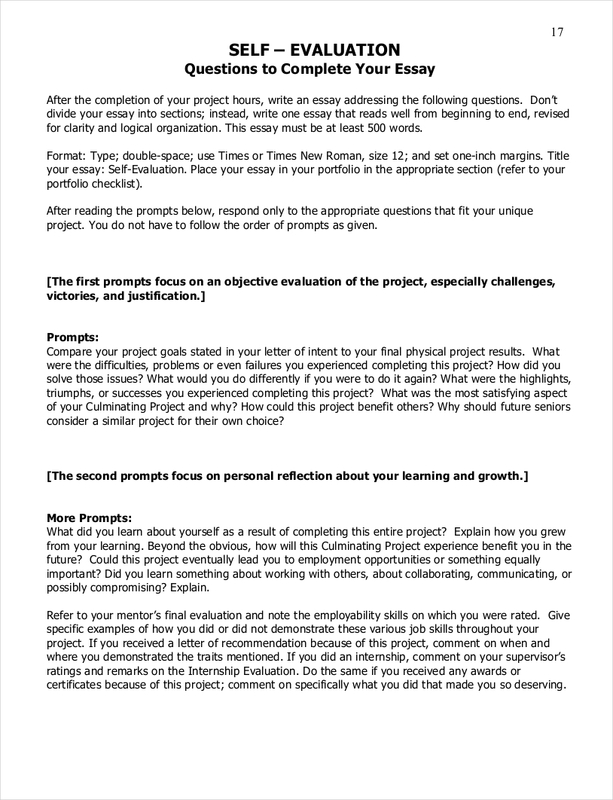 Create an evaluation essay draft. It will depend on you if you will use a template as your guide when writing an evaluation essay. You can also just browse through samples and start your evaluation essay from scratch. One thing that we highly suggest you should do is to make a draft or an outline of the discussion that you would like to have. This can help you ensure that all the necessary information will be placed in your final evaluation essay. 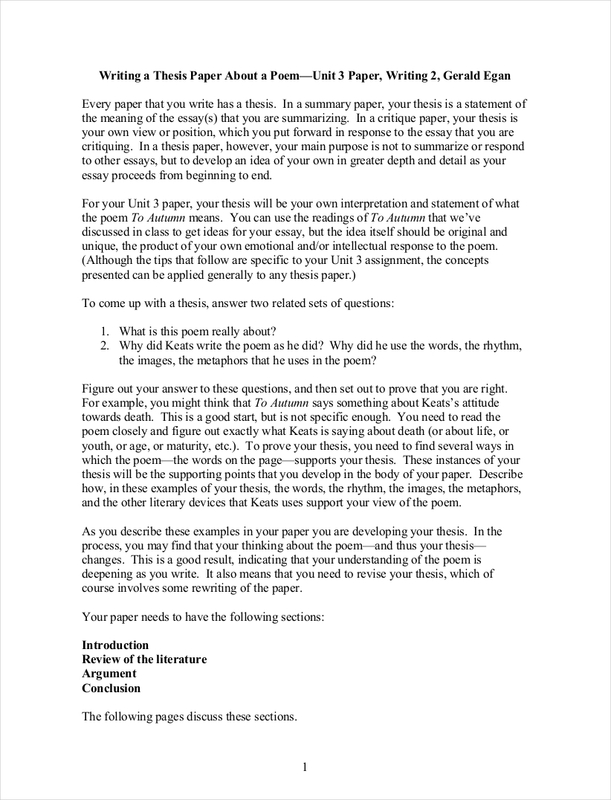 Start writing the content of your evaluation essay. Through the help of the draft that you have created, write a thesis in the first paragraph of your essay. This is the part where you can discuss the topic that you will use for evaluation and the statement on whether you think positively or negatively of the subject. The way that you create a thesis statement will be based on the nature of operations or functions where the essay will be used. Incorporate evidences in your discussion so you can support your claims and/or opinions. After your thesis statement and discussion of important details, your next paragraphs should contain your opinions as well as the evidence that you have used as references. 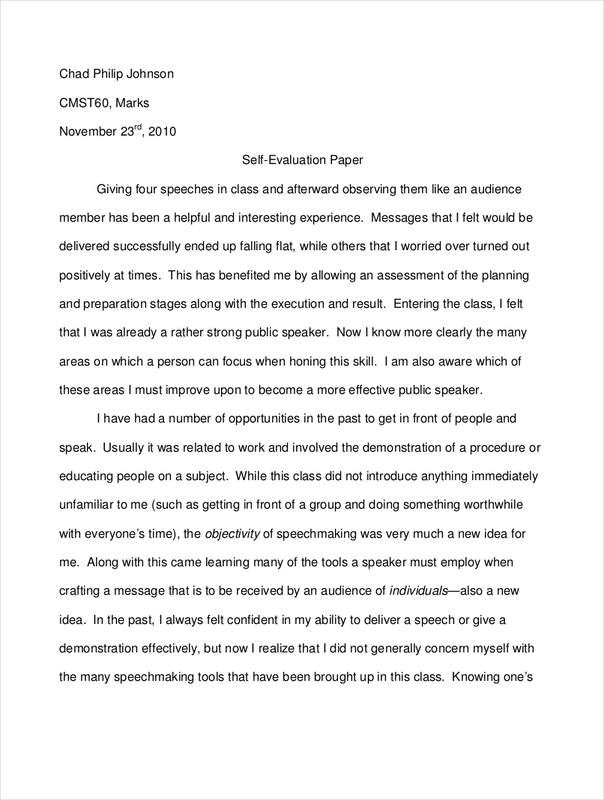 You can end your evaluation essay by having a firm statement of your conclusion. An evaluation essay should be taken seriously especially in matters where its content can affect other people or even an entire community. Since an evaluation essay is not only a part of college essay examples as it can also be used in business and corporate processes, you have to understand the weight of its effectiveness. May it be a self-evaluation essay or a project evaluation essay, always keep in mind that you should put together all the evident facts and your statements in a professional and objective manner. Whether it is a last minute essay writing or a thoughtfully planned evaluation essay composition, being aware of the items that we have discussed in this post can help you further improve the content and structure of an evaluation essay. It will also be easier for you to come up with an evaluation that can be trusted by your readers. Present all the details that you need to discuss in an organized and informative manner so you can come up with an evaluation essay that will truly work.